Shallow Obsessions About Fashion: Not dreaming of Genie, I'm dreaming of Kelly! 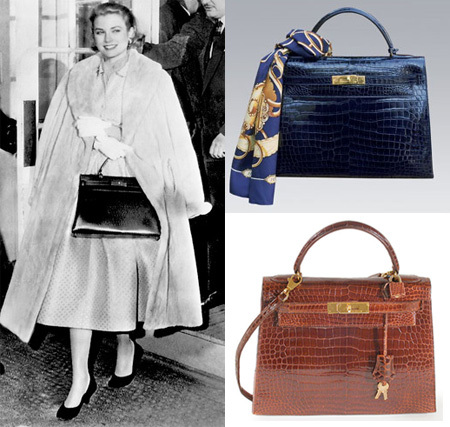 Hermes Kelly bag, named after Grace Kelly, of course! In my bid to reward myself for major (to me, minor to some) accomplishments in life; I have been in negotiations with my dear hubby to allow for an expansion to the handbag collection. They always say both partners must discuss big financial decisions, right? Anyways, I am making some headway because with transferring to a new employer, I will be getting some unused vacation and pension transfer values that will allow for such an acquisition. In my mind, if it doesn't come out of our salaries, its just bonus funds, right? Sure we can put it towards the mortgage or keep it in RRSP's for tax benefits... but my soul says you only live once. Plus who is to say I will live to 65 anyways?! ?